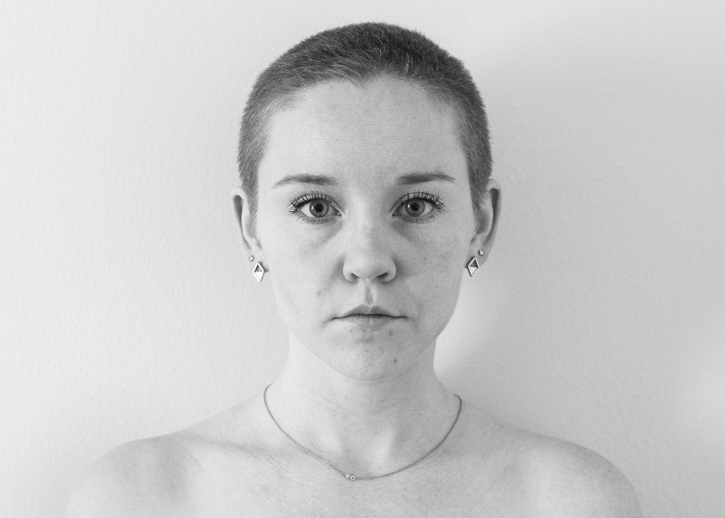 Sarah Shoemaker is a photography and video artist whose work explores her own identity and personal experiences being a woman.She currently resides in Iowa City, IA and studies photography at the University of Iowa, with an expected graduation of May 2018. After cutting my hair into a pixie cut in 2014, I received many negative comments about my hair from strangers, family and friends. Hearing one negative opinion after another, I realized how many people care about the amount of hair that women have and how they decide to style it or color it. These same people believe that women with long hair are more beautiful and if she cuts it, it's a permanent decision. So, I decided to prove everyone wrong and on March 16, 2017, I buzzed all my hair off. I did it to prove that hair grows back. I did it to prove that hair does not define a woman's beauty. I did it to prove that it's just hair.